Check out this awesome review by CurlyNuGrowth, our September giveaway winner!! Yes, my Crocheted Hat with Satin Lining from Threadmill finally arrived, and in such pretty packaging! 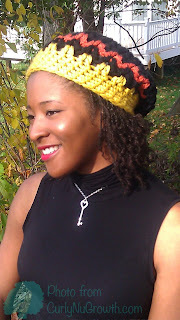 As some of you may know, if you follow me on Twitter [CurlyNuGrowth], I won this hat in a giveaway from the Hairscapades blog a few weeks ago! I was really ecstatic about it, especially with the weather getting colder here in the DC area! 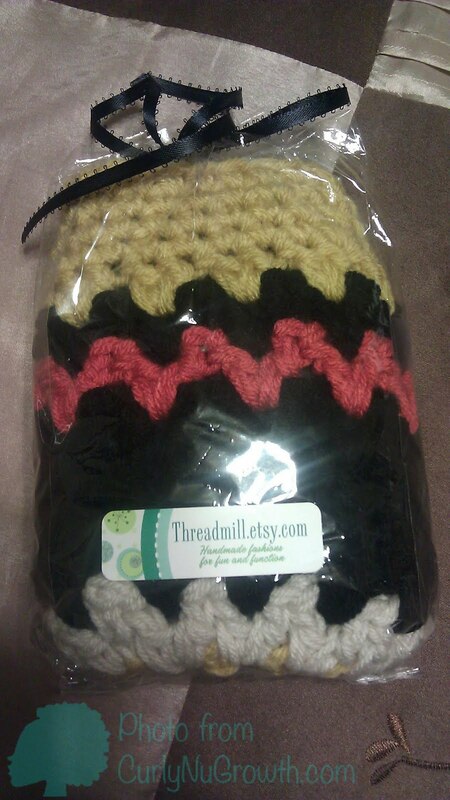 The hat is crocheted and is done so with pretty thick yarn which adds to the warmth of the hat in windy weather. And also, unlike most crocheted hats that have holes that allow the cold air to get to your curls, my hat has an added satin lining! 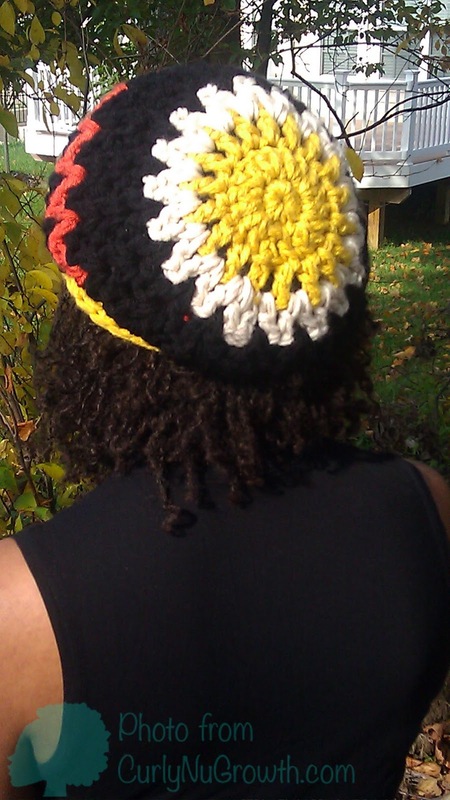 The satin lining not only protects my hair from the yarn which could cause drying and/or lint balls in my Sisterlocks, but also from the wind and cold air from getting to my tresses, Win Win! I absolutely LOVE the hat, and especially the satin lining! 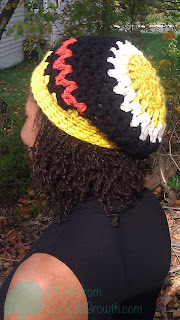 Its warm, colorful, and stylish and definitely a great addition to my Fall wardrobe! 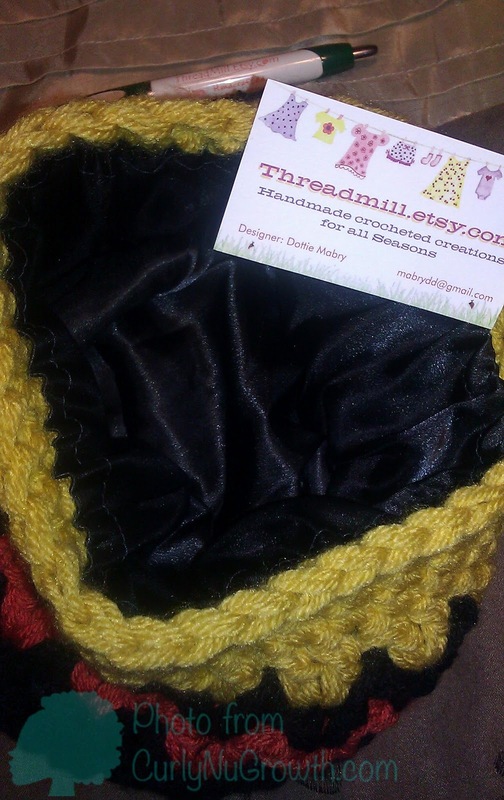 I want thank Dottie at Threadmill for sponsoring the giveaway and Hairscapades for hosting the giveaway! 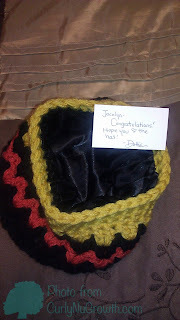 I look forward to more great content at Hairscapades, as well as fabulous giveaways! 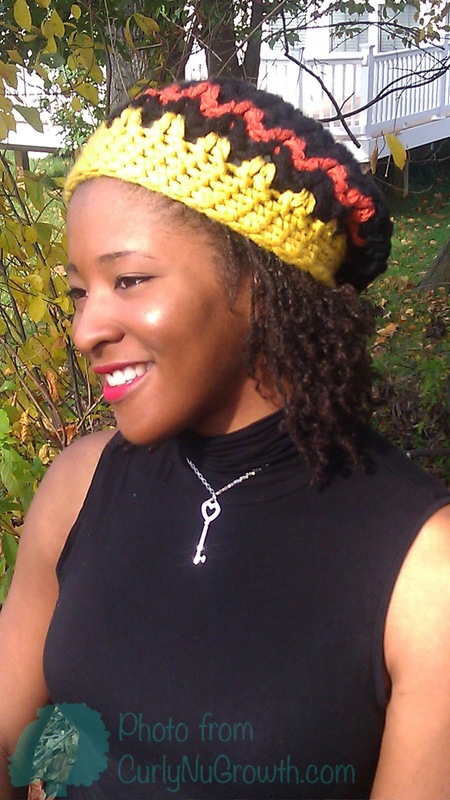 If you’re interested in purchasing one of these great crocheted hats with an added satin lining, head over to the Threadmill Etsy shop and take your pick at their great selection! This hat looks wonderful on you! I have to get one soon…………………………. Thank you! Yeah, I will definitely be back! Thanks for a very sweet review Jocelyn! Wow, you are so pretty! You could make any hat look fine!